The finest culinary talent from InterContinental Hotel and Resorts has collectively released a luxurious, decadent selection of Valentine’s Day experiences, from Sydney to Wellington. Globally renowned for creating immersive dining experiences from the very best culinary talent, InterContinental has designed each exclusive offer to provide guests an unforgettable, deluxe experience to share with a loved one. Whether your preference is a full-service package for the evening that includes a chilled glass of Perrier Jouet Blason Rose Champagne on your personal balcony overlooking shimmering Sydney Harbour, or a delectably curated three-course meal by Executive Chef Matt Hart at Sanctuary Cove Resort, each experience has been curated precisely for the occasion to create an unforgettable memory. The luxurious five-star InterContinental Sydney Double Bay is the perfect retreat for you and your loved one this Valentine’s Day. Check-in to a spacious Bayside guestroom or suite with your own private balcony overlooking the shimmering Sydney Harbour bay and enjoy luxurious amenities. The Bayside Bliss package offers one-night accommodation in a Bayside guestroom, breakfast for two on your balcony, bubbles and petit fours on arrival, valet parking and complimentary late check-out of 1pm. Add an extra touch with a four-course meal in Stillery Dining and enjoy a chilled glass of Perrier Jouet Blason Rose Champagne. InterContinental Sanctuary Cove Resort reflects the grand, graceful architecture of a classic Queensland estate and forms the perfect romantic setting, nestled within the picturesque surrounds of Sanctuary Cove. Experience a bespoke, indulgent Valentine’s Day menu created exclusively for diners by Executive Chef Matt Hart. Delight in three courses against the backdrop of romantic hushed lighting and wood-fire oven in The Fireplace as you make your way through poached duck breast, spiced beef fillet or barramundi followed by a roasted pistachio panacotta. Settled amongst the timeless heritage and modern luxuries of InterContinental Melbourne The Rialto and all Valentine’s Day diners will be invited to indulge in a bespoke four-course high tea degustation, specially prepared by Executive Chef, Clinton Jackson. Guests will then be treated to the decadent Rialto Precinct Dessert Trolley, featuring heavenly cakes from the kitchens of renowned local venues such as Vue de Monde, Le Petit Gateau and Merchant, alongside showcased Valentine’s Day-inspired desserts. Hosted in the sun-drenched Alluvial atrium, your intimate dining experience will be accompanied with a glass of delicate rose Perrier-Jouet Champagne or a deconstructed Champagne Cocktail. 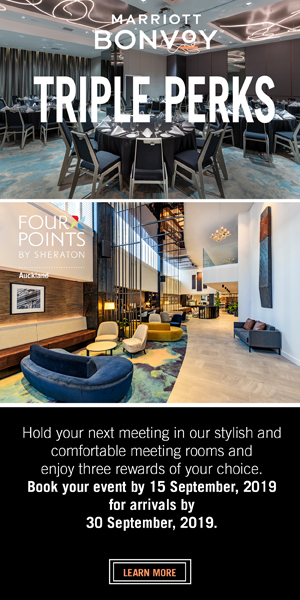 Exclusively positioned on the banks of the River Torrens, InterContinental Adelaide provides a luxurious city-centre escape. This Valentine’s Day, InterContinental’s culinary experts deliver a night with G.H. Mumm with a romantic Japanese feast in the award-winning Shiki restaurant led by Chef de Cuisine, Kenny Trinh. From Japanese scallops to Clare Valley chicken leg and Wagyu tenderloin, guests will indulge before discovering the crem de a crème final: vanilla-seed coconut cheesecake with mango cremeux and Moscato sparkling wine jelly. Adjacent to Wellington’s stunning waterfront, InterContinental Wellington offers seamless and personal service from a team that makes a Wellington experience truly memorable. This Valentine’s join in on the romance with a perfectly picturesque high-tea experience, settled among red accents and ambient lighting. The specially-themed “red” high tea will feature special guests from Head of Pastry, including red velvet cakes, raspberry slice, raspberry cheesecake, strawberry tart, red macarons, and coconut ice.